Learn the magic and the medicine of plants. 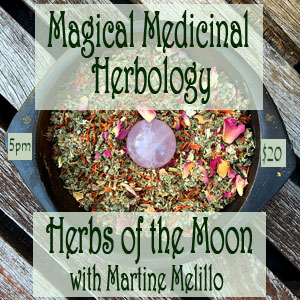 This class will focus on how to use herbs to maintain a healthy body, the spiritual and emotional uses associated with the plants, and get creative with a little magic. Tonight we will center on plants bestowed with magical properties of the moon. They offer us depth, promote intuition, and encourage relaxation for those moments in which it is elemental to look within. These mysterious herbs inspire thought and reflection. They hold a softer power that is gentle but effective and encourage our bodies to flow with our receptive qualities.